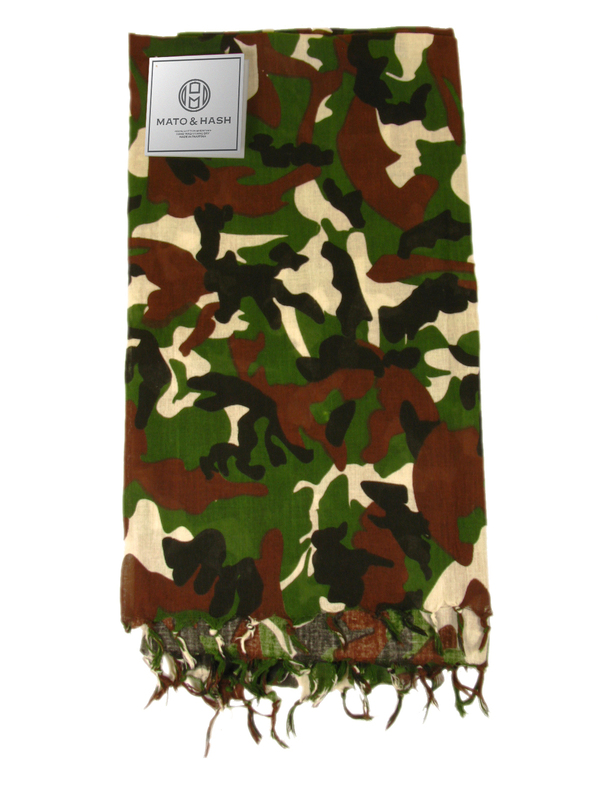 This multi-purpose Printed 100% Cotton, Multi-Tactical Arabian Keffiyeh Shemagh is ideal for all weather conditions. Great for keeping you cool on hot summer days, and will shield your head and neck from the sun, sand, and/or wind. 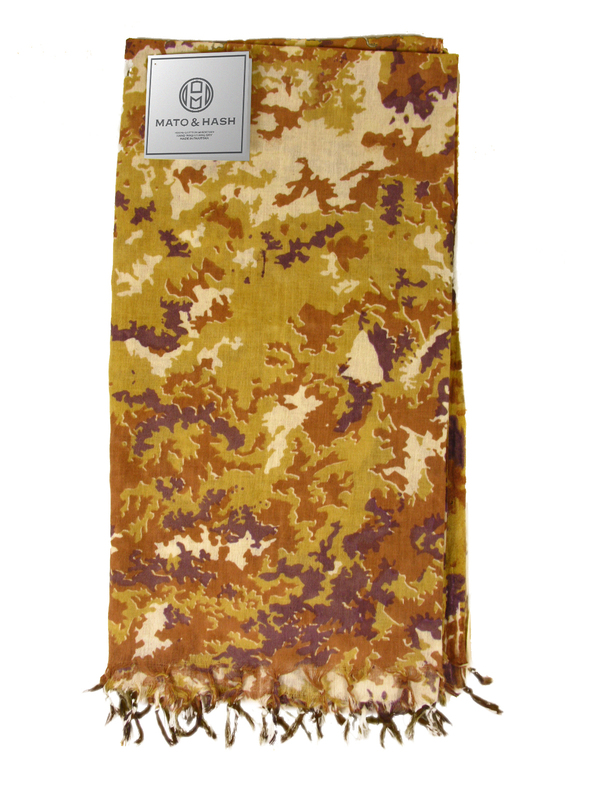 The shemagh also keeps your face and hands dry. Used By Military Soldiers In Afghanistan, Iraq & Worldwide. 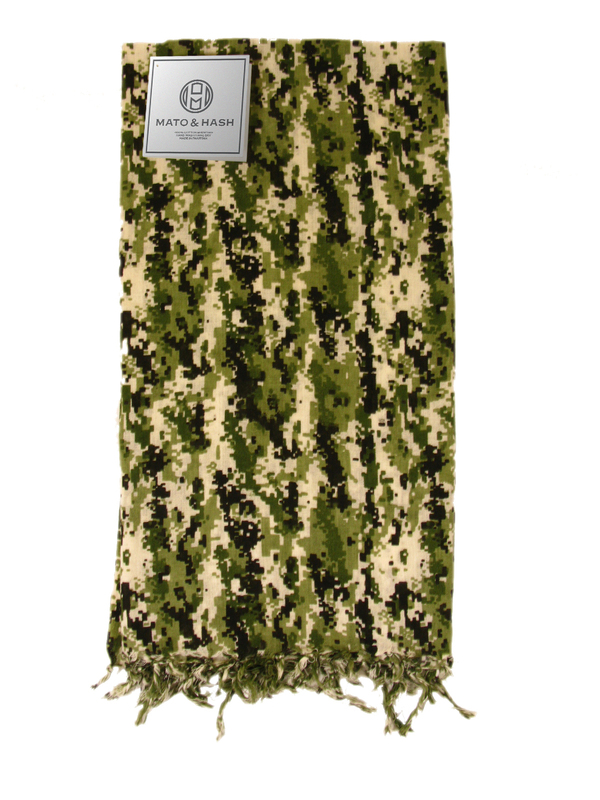 Can Also Be Used As A Neck Warmer Or Hand Towel. Extremely Fashionable & Popular. A Keffiyeh Is Also Known As A Shmagh, Shemagh Or Yashmag, A Ghutra Or A Hatta, And Is A Traditional Headdress Of Arab Men, Made Of A Square Of Cloth ("Scarf"), Folded And Wrapped In Various Styles Around The Head. Works Well As Alternative Winter Headwear, Particularly In Areas With Snow And Strong Winds. 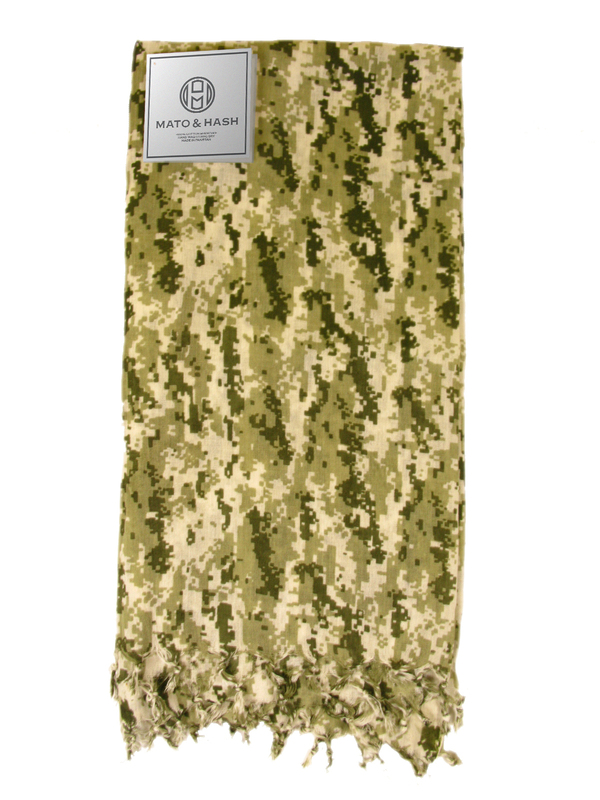 This printed edition of our shemagh comes in several unique designs. 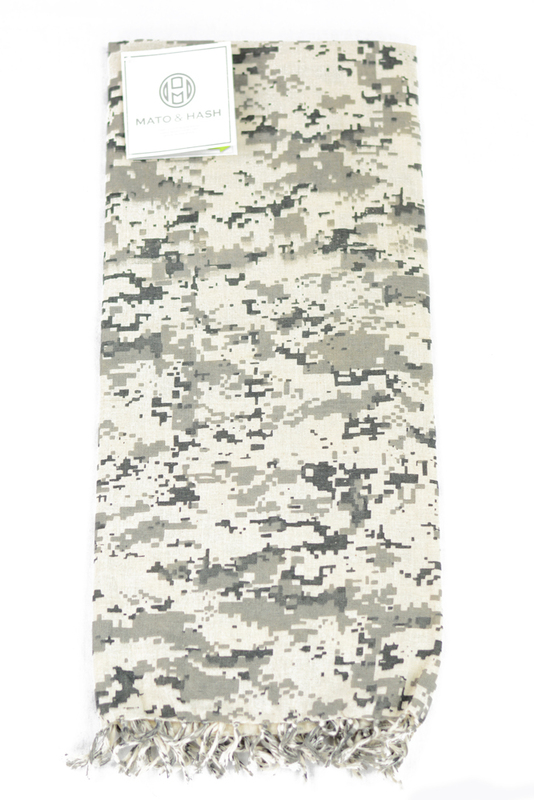 Hunters to paintballer�s can use the printed camouflage pattern to conceal and protect themselves. 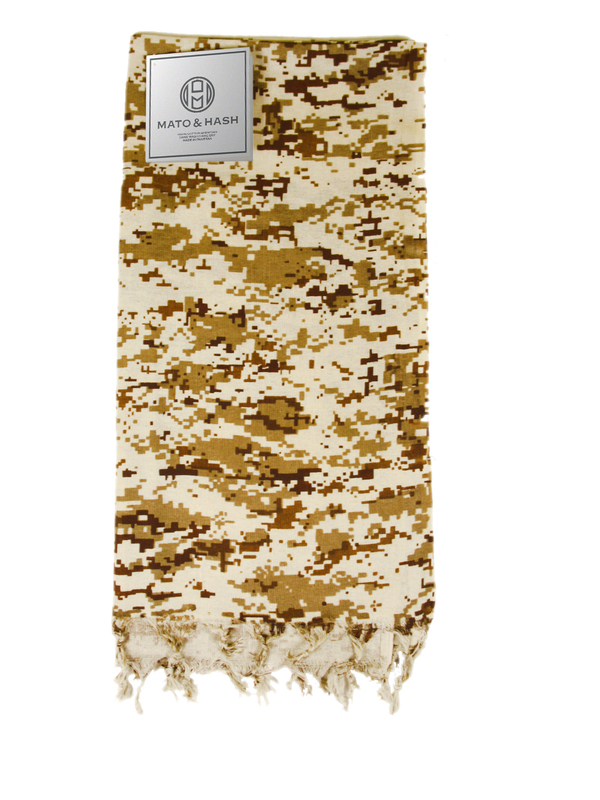 Another great use for the printed shemagh is you can camouflage anything by simply draping the shemagh over top of it. Need to conceal a pack, camera or hunting gear buy one for yourself and your gear.